Pain, mobility, sensitivity or no symptoms at all–each can apply to a cracked tooth. Consumers Report Top Dentist, Dr. Robert Young, finds cracked teeth, expertly treats them, and shows patients how to avoid fractures that compromise oral health and function. Cracked Tooth Syndrome results from oral injury, such as a blow to the jaw, multiple or very large fillings in a tooth, bruxism (teeth grinding) and thin enamel from simple age, wear and tear and acid erosion from dietary choices. Your Manahawkin dentist says it’s important keep teeth and gums healthy to avoid CTS, or if symptoms appear, to act on them immediately to avoid substantial damage. During an oral exam, Dr. Young inspects each tooth and the gums. He looks at restorations, such as fillings and dental crowns, to see if they are intact with no additional decay. When he suspects a crack or the patient complains of sensitivity or pain with a particular tooth, Dr. Young uses a handheld instrument called an explorer to find decay. He assesses how teeth bite together and looks for signs of clenching (uneven tooth cusps and other characteristics). In addition, the dentist takes digital x-rays. While x-rays are not conclusive for CTS, they are part of a total diagnostic picture. Dr. Robert Young and his team recommend routine brushing and flossing at home to remove harmful plaque. Six-month exams and cleanings inspect for problems before they become painful and expensive and to remove hard tartar. Also, good nutrition strengthens and maintains smiles throughout your life. Avoid sugary foods, smoking and high acid menu items. Eat high protein, low-fat meats, fibrous vegetables and fruits and low-fat, high-calcium dairy products. Could you unknowingly have CTS? Don’t worry. 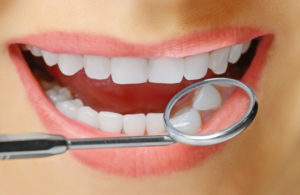 Contact Young Dentistry in Manahawkin, NJ, and book an exam and cleaning appointment. Dr. Young’s extensive credentials and experience reliably assess your oral health to keep it on track for a lifetime.